BRUNCH. I will never say no to brunch (don't know if that's a good or bad thing). There's something about waking up in the morning and meeting friends for some good food. It says "Hey, I'm able to get my act together in the morning and go eat at a restaurant in the a.m. because I was definitely not going to take the time to make and cleanup the mess that would be in my kitchen". Eggs Benedict, french toast, potatoes and fresh fruit...IT'S ALL DELICIOUS, and not the everyday oatmeal or simple egg you make while rushing to get ready for the day. Brunch is the best meal of the day. 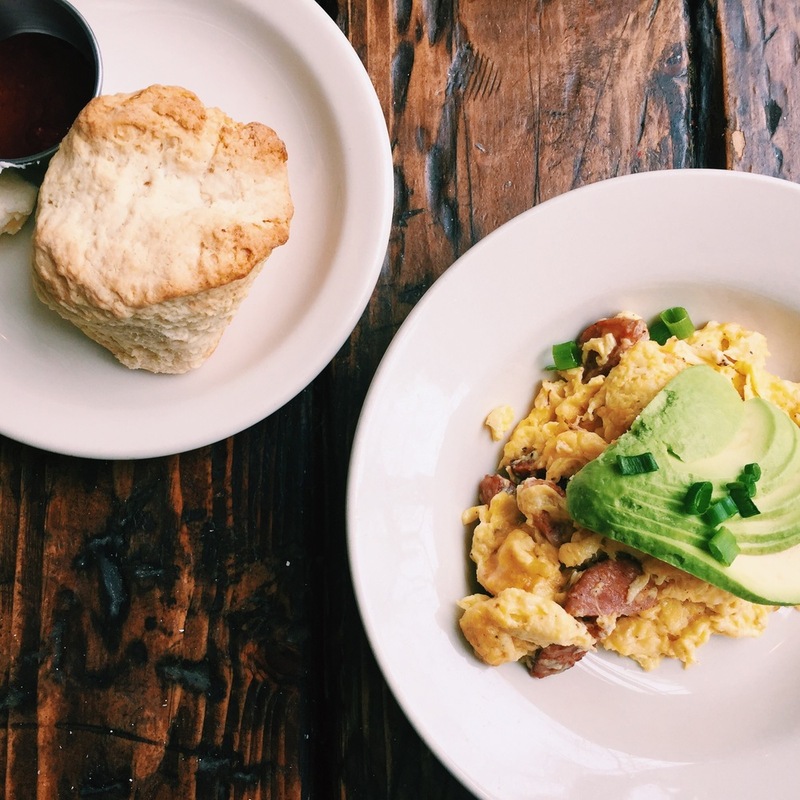 As an avid brunch enthusiast, I've made my away around Seattle and now it's time to share some of my favorites! ***These are in no particular order, ranking them would just be too difficult. On the east side of Broadway in Capitol Hill is a hidden mecca of stores and restaurants tucked away with the housest. 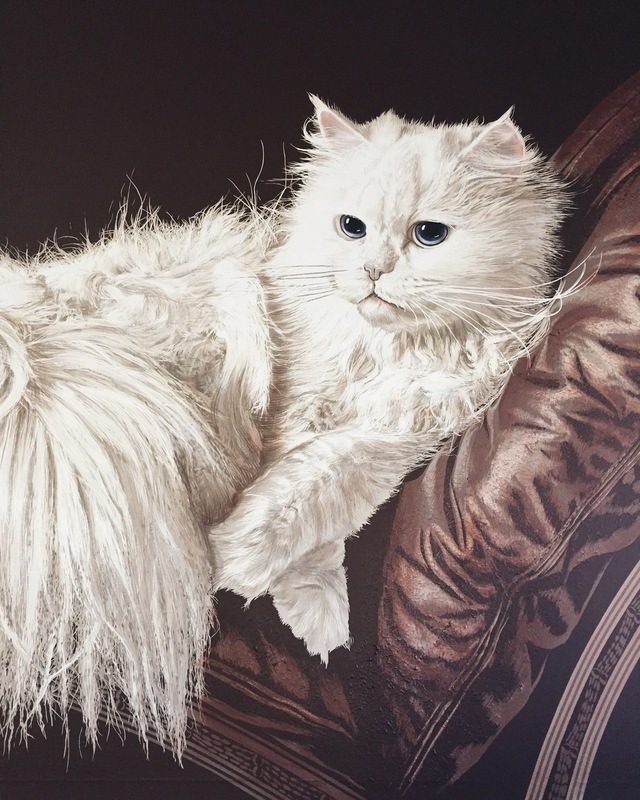 Entering the restaurant, you're greeted by a large cat painting. Quirky, I like it. The atmosphere is classy and clean-cut, making you feel swanky and sophisticated. When I went with Hunter, we split the Meyer Lemon and Ricotta Pancake and Red Quinoa & House Smoked Salmon Bowl with a poached egg and avocado. It was the perfect amount of sweet and savory. The pancake was the fluffiest I've ever had and the lemon added a nice flavor. The quinoa was a game changer. I love quinoa and Tallulah's took it to the next level by adding the freshest vegetables out there. Healthy and hearty, my kind of meal. Now I've been wanting to go to Oddfellows since I first heard about it. It's one of the most iconic Seattle restaurants in the hippest area. All of the Instagramers I follow based in Seattle always post pictures from here, so I had to see what this place was all about. And I was not disappointed. There was an old west feel, especially with a vintage American flag and sepia photos in mismatched frames hanging on the walls. It was a dilemma deciding what to order but I settled upon the Eggs Benedict, a classic. For the whole table we ordered a plate of beignets to kick the meal off. Also, a good rule of thumb, if your party doesn't want to order beignets (fried dough covered in powdered sugar with a side of jam) then you need to find new friends. Nestled in the thick of the Ballard Farmer's Market is The Sexton, a lively, hipster bar/restaurant. It's like walking into an old saloon with wood tables, chairs, floors and bar and white walls and chalkboard signs. Southern vibes add to the atmosphere and experience. The Sexton is all about have a good old-time with great friends and doing that with some hearty, wholesome meals. I went for the egg and sausage scramble topped with avocado and a warm, butter biscuit accompanied with strawberry jam on the side. Bastille should not be in Seattle, but on the Champs Élysées. The first time I walked past the restaurant, it instantly reminded me of all of the cafés in Paris. Nostalgia. Bastille blends Seattle and Paris seamlessly, it's crazy. Working with local ingredients (they almost have to, the Ballard Farmer's Market is right outside the door on Sundays) and traditional French dishes like Croque Madame and Duck Confit, it's the perfect storm for an excellent menu (it took me about 15 minutes to decide, when the waiter came over to tell us the specials, I almost had a mental breakdown, there was a pork belly dish!!!!). 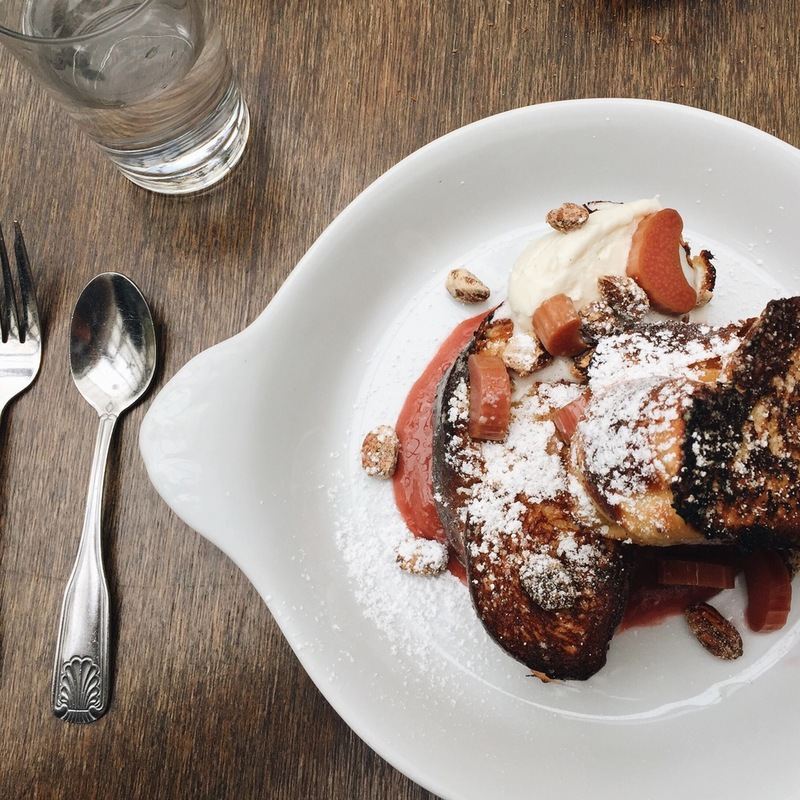 I really wanted something sweet and opted for the Challah French Toast with rosé poached rhubarb, vanilla mascarpone, and hazelnuts. Simple yet posh. If you're mouth isn't watering yet this picture will do the trick. The newest brunch restaurant on the block is Shaker + Spear located in the Palladian Hotel near Downtown/Belltown. It's modern and sleek with the most hospitable wait staff I've ever encountered. The hostess was kind enough to ask me my name when Sara and I arrived (they knew Sara's because she had made the reservation) and even if there were food allergies they should be aware of, progressive. Sara and I had a very casual Monday morning brunch filled with coffee and potatoes. I kept thinking to myself, what in the world I am I doing right now, I feel like a classy adult. For my brunch, I ordered eggs, bacon (duh) and SKILLET POTATOES. When I saw it on the menu, I had to get them. A few blocks away from the hustle and tourist trap that is Pike Place is Le Pichet, the classic, quaint French cafe that has regulars who come in for a cup of coffee, fresh pastry and read the Sunday paper. I was just excited to have authentic French food and ordered a bit much, but I did my best to eat it all. I started off with some hot chocolate (a definite must!) and a warm brioche. I unfortunately forgot to get brioche when I was in Paris, but this brioche has got to be the best in Seattle. Paired with an apple rhubarb jam, I gobbled it right up. In addition, I had eggs with ham and gruyere cheese baked in a skillet and a complementary baguette and butter. These are just a few of my favorites and there are so many more I want to try. Coming up next are: Tilikum Place Cafe, Burgundian, Tilth, Lola, The Wandering Goose, Percy's. If you want to go out to brunch, now you know who to call!